BRYAN EATON/Staff photo. 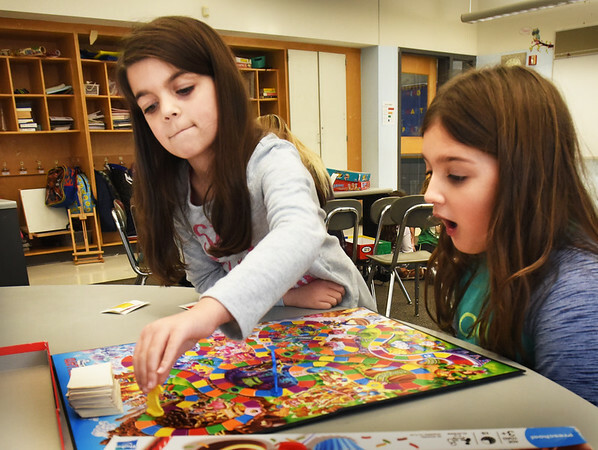 Addison Murphy, 7, left, gets the win in this round of Candy Land with Jocelyn Zarella, also 7. They were in board game room in the Salisbury Elementary Afterschool program Explorations which also features basketball, Lego's, theater among other activities.